Love interacting with people? Or perhaps you were born with a tool in your hand and grease on your pants…or maybe you just love automobiles. 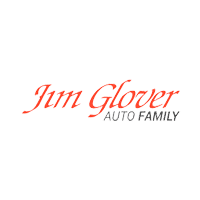 Whatever calls to you, Jim Glover Auto Family is full of opportunities! So whether you are looking into a career in sales, service, or finance, be sure explore our employment openings available. Our customer’s experience starts with our employees. If you can make their experience valuable and unforgettable, then we need to talk! Please fill out the form below and also send your resume to careers@jimglover.com.